According to a recent SHRM survey, Poor Credit History Not Barrier to Hiring, the frequency and manner of credit background usage in the hiring process has changed, even in just the past couple of years. Why The Credit Check Change? According to Mark Schmit, SHRM’s vice president of research, the drop in report requests is due largely to employers becoming more aware of state and federal government scrutiny, so they are using them more discreetly and to target more specific jobs. One background screening company reported that less than a third of its 2,256 respondents reported conducting credit checks for prospective employees citing concerns over new legislative and increasing EEOC scrutiny. Look at your organization’s policy in light of EEOC guidance, and evaluate where there may be a disconnect between the two. Be cautious about the use of blanket policies. 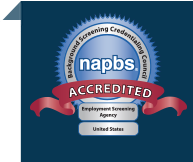 Make sure the team that is involved in hiring and background screening is properly trained around EEOC guidance and the Fair Credit Reporting Act (FCRA). Take into consideration the details of an individual’s report, such as the circumstances surrounding the negative credit item.